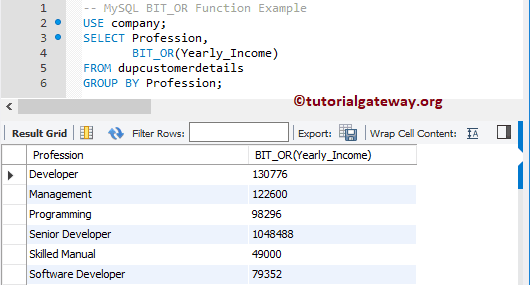 MySQL BIT_OR is one of the Aggregate Function, which performs Bit wise OR operation on all bits. First, this function will convert all decimal values into binary values, and perform bit wise OR operation on those binary values. 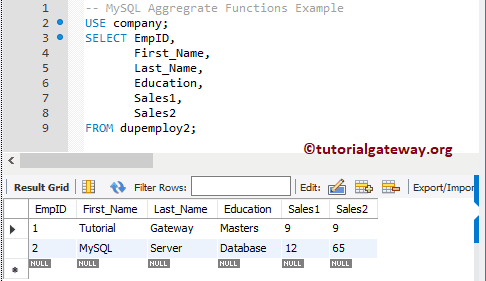 In this article we will show you, How to use this BIT_OR in MySQL with example. 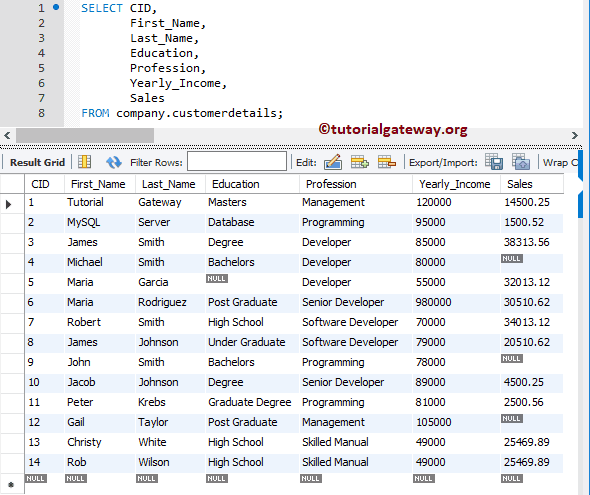 The below statement will find the Bit wise OR values of Sales 1 and Sales 2 columns.